After a successful first day and a late night of app development, our intrepid startups arrived this morning after a much needed rest, ready to take on Day 2 of MAW. Wimbledon is underway at the All-England Lawn Tennis and Croquet Club, but all eyes will be on the All-Windows Phone Cardinal Place this Friday for MAW Demo Day. Judging by the progress so far, it’s going to be an exciting one! Our group of startups here has raised the most venture capital money of any outside the U.S with a total of $55 million. And, we even have a celebrity in our midst. 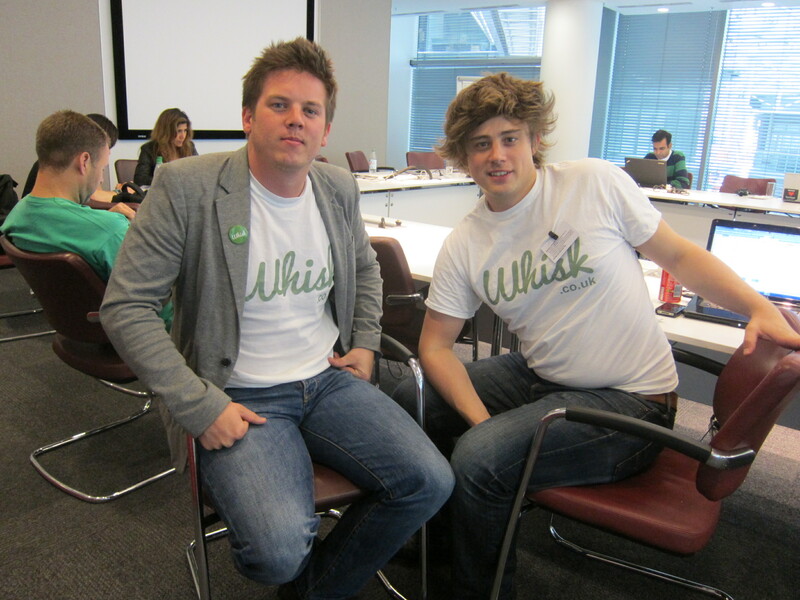 Nick Holzherr, Founder of Whisk, was a finalist on The Apprentice UK and is a local teenage hearthrob. Our first session of the day was a technical deep dive of Windows Phone with Microsoft technical evangelist, Mike Ormond, Product Marketing Manager at Microsoft. 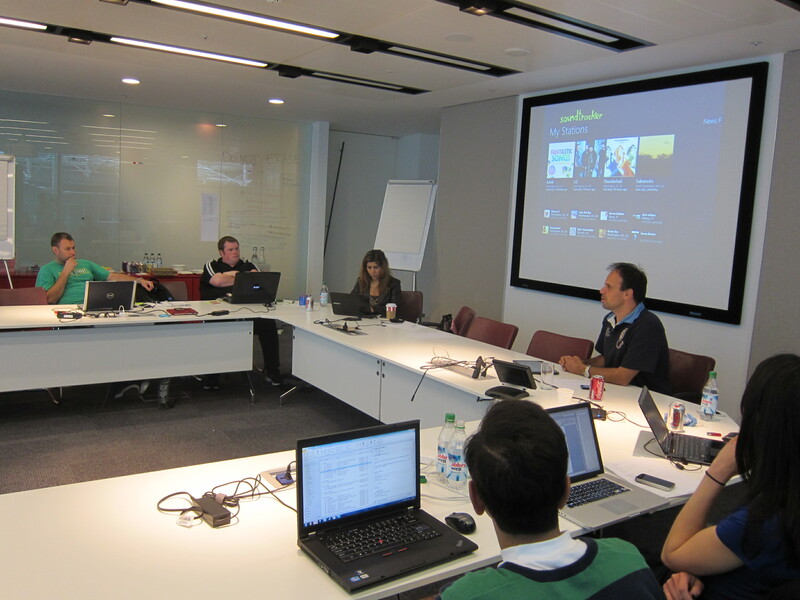 After refueling for lunch, we dived into cloud computing, with a session on Azure development. As part of MAW, participants will be eligible for the BizSpark Plus program of free Azure services for a period of time. Today, we welcomed a special guest, Daniele Calabrese, Founder and CEO of Soundtracker, the location based mobile radio app and two-time MAW alumnus. Daniele discussed how MAW helped Soundtracker, ways to benefit from the program, and his experience partnering with Microsoft and Nokia. 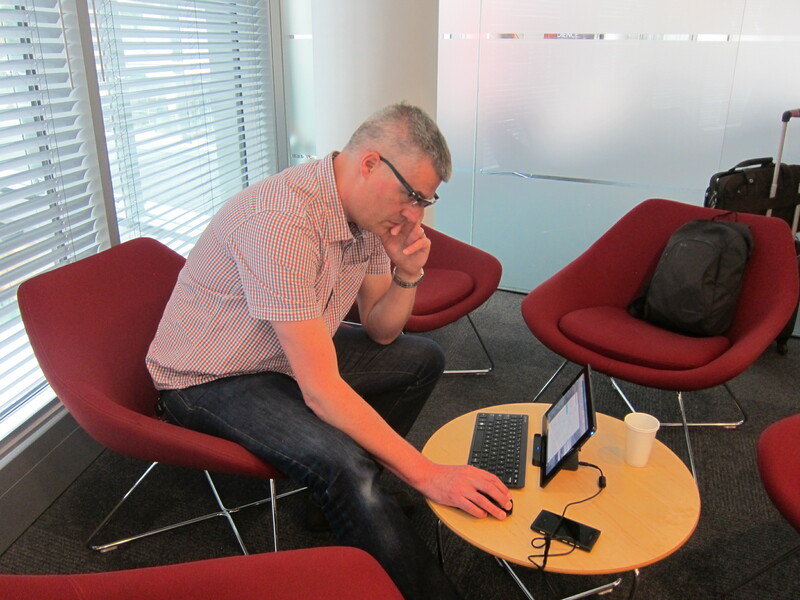 Daniele showcased Soundtracker’s brand-new Windows 8 app which will be available at launch. The startups asked him about his decisions to develop on the platform and how he leveraged MAW to secure partnerships. Soundtracker has been particularly successful in this area, having signed a distribution deal with Nokia to localize the app in 24 languages. Soundtracker will be launching as part of the Facebook timeline soon, part of a select group of companies to have this. You can watch Soundtracker’s Microsoft BizSpark video or their feature on the Nokia Developer site for more information on the company. Today, I spoke with Archify, an early stage startup based out of Vienna, Austria. Archify has developed a platform for people to save, analyze, and search their web-based activity. The service will save each website you’ve visited, adding metadata such as geolocation, time of day, and categories. Users can access their history and search from a personalized site. They see mobile and tablet as a significant growth area and are developing a Windows Phone app for users to find information on the go. They are also considering Azure to run their backend. I’m excited to see how the app turns out, as this could be an extremely useful app in the age of interconnected devices and social networks. The company recently raised a round of funding and is relocating to Berlin. For dinner, the startups enjoyed a delicious French meal from HouseBites.com, a fellow BizSpark company. It was great to see a BizSpark company feeding other BizSpark startups! After dinner, startups continued development as we ran late into the night. The participants are looking forward to another big day tomorrow. Our group of startups has been particularly active on Twitter. Follow along for our updates throughout the day, using the hash tag #MAW. Check back tomorrow for a day three update or Twitter for the most updated info.